We want you to be ready for your winter driving. Mercedes-Benz Oakville Service knows you’re ready to make the seasonal tire change and it could also be time to perform a wheel alignment. The time between wheel alignments is typically the time it takes to wear out a set of tires. Whether hitting a pothole or rotating your tires, alignments are recommended to correct minor deviation from normal use. Vehicle may feel as though it pulls to one side. The best time to do an alignment is when installing new tires and at a seasonal tire change. Call today and schedule your 4-wheel alignment for $199, plus HST, tires on rims only. For vehicles with and AIRMATIC Air Suspension, a 4-wheel alignment is $279, plus HST., tires on rims only. Wheels have to work together, otherwise they work harder. If you own of a 1988 Mercedes-Benz, or older, you are invited to join our Mercedes-Benz Oakville Vintage Club. No fee membership for as long as you own your Vintage model. Special access to Genuine Vintage Parts for your Mercedes-Benz. New Members receive a one-time complimentary mechanical inspection, with a no obligation report on findings. Preferred Technician Peter Hagens, our Vintage Specialist provides hourly consultations by appointment only. Access to special events featuring Vintage Mercedes-Benz models. Our Vintage Club is located at 610 South Service Road West, west of our dealership. Become a Member by calling Ashley Henry – 905-338-4305, ext 24233. Share the history of your Vintage Mercedes-Benz and become part of the brand legend. *†15% Discount calculated from posted hourly labour rate and retail price of parts. 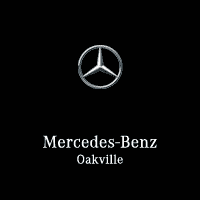 Applied only to transactions on vehicles when serviced by Mercedes-Benz Oakville. Discount exclusions include: tires, already reduced menu-priced items; see Service Advisor for more details. Offer cannot be combined with any other offers or promotions and is not valid on parts-only purchases. †Certain restrictions apply to 2-year unlimited Kilometer parts warranty. *†15% Discount calculated from posted hourly labour rate and retail price of parts. Applied only to transactions on vehicles when serviced by Mercedes-Benz Oakville. Discount exclusions include: tires, already reduced menu-priced items; see Service Advisor for more details. Offer cannot be combined with any other offers or promotions and is not valid on parts-only purchases. †Certain restrictions apply to 2-year unlimited Kilometer parts warranty. 15% Off On all B-Class model years 2006-2011. *15% Discount calculated from posted hourly labour rate and retail price of parts and is only applied for transactions on vehicles when serviced by Mercedes-Benz Oakville. Some discount exclusions apply such as tires and already reduced menu-priced items, see Service Advisor for details. Offer cannot be combined with any other offers or promotions and is not valid on parts-only purchases. 1Certain restrictions apply to 2-year unlimited Km warranty. *15% Discount calculated from posted hourly labour rate and retail price of parts and is only applied for transactions on vehicles when serviced by Mercedes-Benz Oakville. Some discount exclusions apply such as tires and already reduced menu-priced items, see Service Advisor for details. Offer cannot be combined with any other offers or promotions and is not valid on parts-only purchases. 1Certain restrictions apply to 2-year unlimited Km warranty. 20% Off On all C-Class model years 2000-2007. *20% Discount calculated from posted hourly labour rate and retail price of parts and is only applied for transactions on vehicles when serviced by Mercedes-Benz Oakville. Some discount exclusions apply such as tires and already reduced menu-priced items, see Service Advisor for details. Offer cannot be combined with any other offers or promotions and is not valid on parts-only purchases. *20% Discount calculated from posted hourly labour rate and retail price of parts and is only applied for transactions on vehicles when serviced by Mercedes-Benz Oakville. Some discount exclusions apply such as tires and already reduced menu-priced items, see Service Advisor for details. Offer cannot be combined with any other offers or promotions and is not valid on parts-only purchases. 1Certain restrictions apply to 2-year unlimited Km warranty. 15% Off On all C-Class model years 2008-2012. 20% Off On all CL-Class model years 2001-2009. 20% Off On all CLK-Class model years 2003-2009. 20% Off On all E-Class model years 2003-2009. 15% Off On all GLK-Class model years 2010-2012. 15% Off On all GL-Class model years 2007-2012. 20% Off On all M-Class model years 1998-2005. 15% Off On all M-Class model years 2006-2012. 20% Off On all S-Class model years 2000-2008. 15% Off On all SL-Class model years 2003-2009. 15% Off On all SLK-Class model years 2005-2011. 15% Off On all smart fortwo model years 2005-2006.